The numbers look right but how does it perform on the trail? Pivot’s Firebird 29 is a little bit late to the long-travel 29er party. Virtually every manufacturer has a 29er now with rear travel above 150mm. 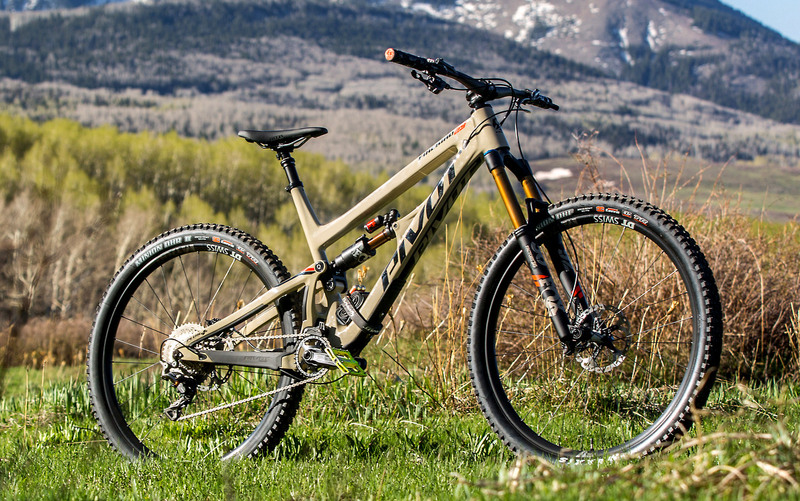 Pivot’s Switchblade has done an admirable job holding court with with its 135mm of rear travel so the arrival of the Firebird is welcome news. The key number is 162mm. That is the rear travel of this bike and its mated with 170mm in the front. With the option to put some very big tires on it, one comes to realize that this can be a very burly bike. The rest of the numbers are decidedly modern in its 29er garb. A seat tube angle of 75 degrees and a head tube angle of 65.5 is right on target for this class of bike these days. With a 460mm reach in size medium, this is a long bike. It’s longer than they’ve dared go before but very timely and a compelling statement in this market. With a chainstay length of 16.9 inches and the ability to host 2.6 29er tires, the Firebird has solved some difficult geometric problems meeting conflicting demands in this scarce frame real estate. The water bottle cage though gave up its presence in this solution as there’s no room for it. This will be bothersome to some but not all. It followed the path of the YT Capra but the Ibis Ripmo found a way to host even a big water bottle in the front triangle. When we first met the Firebird, we thought it was the finest looking bikes that Pivot had produced. It is one of the great lookers in its category as well with big tubes, fluid lines and a stunning paint scheme. Decals, cable routing, wheels and controls work in concert to produce a great looking bike. The rear shock is a Fox X2, perhaps the finest rear damper available today. 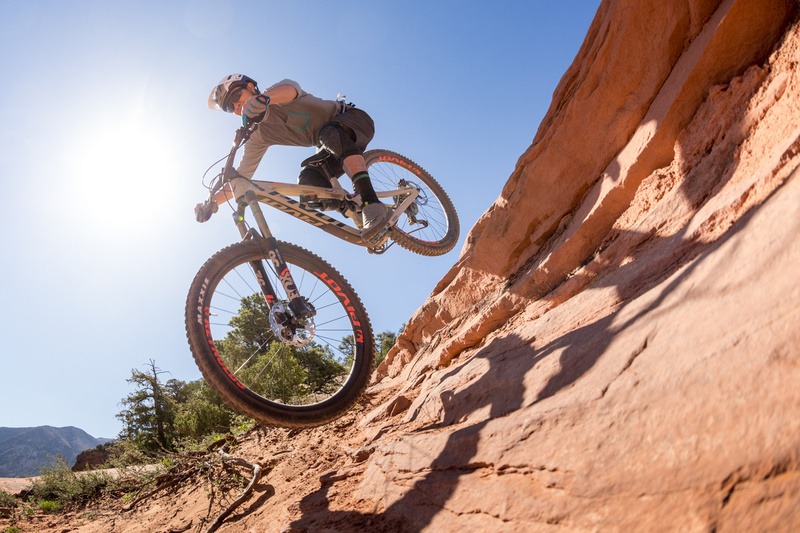 With smooth performance and ultimate adjustability, this shock will calm and soothe the bike even in the most nervous and unpredictable conditions. And up front, the Fox 36 sports the latest Grip2 damper. It’s simple to use but offers so much adjustability as well. 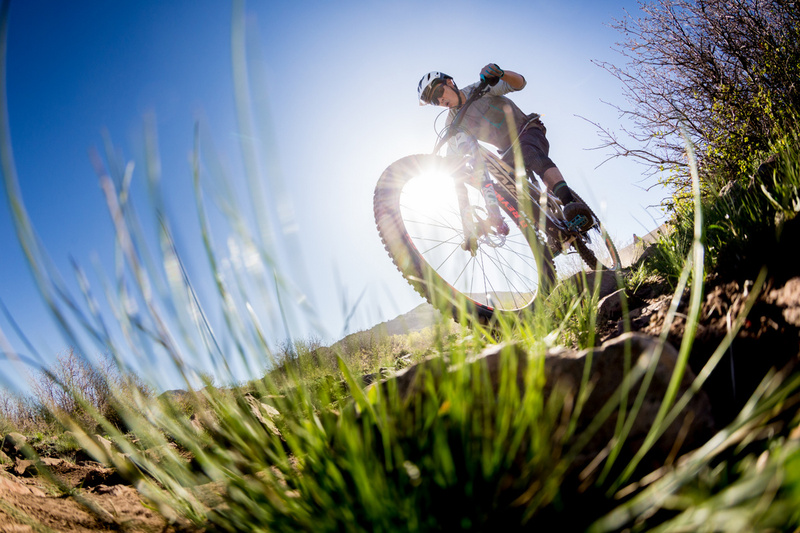 Our initial tests with the Grip2 reveals a fork that is noticeably smoother than its predecessor or the competition. Very smooth cartridge internals translate to a supple, buttery feel that increases control and minimizes upper body fatigue. This frame sports the 157mm rear hub also known as SuperBoost. It delivers a stiffer frame and gobs of tire clearance with short chainstays. It also makes room for 27.5 Plus tires without too much drama. The downside is it uses a special rear hub that is wider than what all other bikes use. The crank too is wider than the rest. Thus, you likely cannot use any of the wheelsets in your garage. Crank options too are in short supply as few make this size. With limited aftermarket support at this time, Pivot chose not to sell this bike with a frame only option. All Firebird 29s have to be purchased as complete bikes and that is an unfortunate reality for customers who like to have it their way. Like the Ibis RipMo, one of the key design decisions on the Firebird 29 is the the choice to spec the new 44mm offset fork from Fox. Coming down from the standard 51mm offset, the 44mm aims to shorten the wheelbase that may get out of hand with the very long reach. And in our test rides, this seems to be a fine decision indeed. 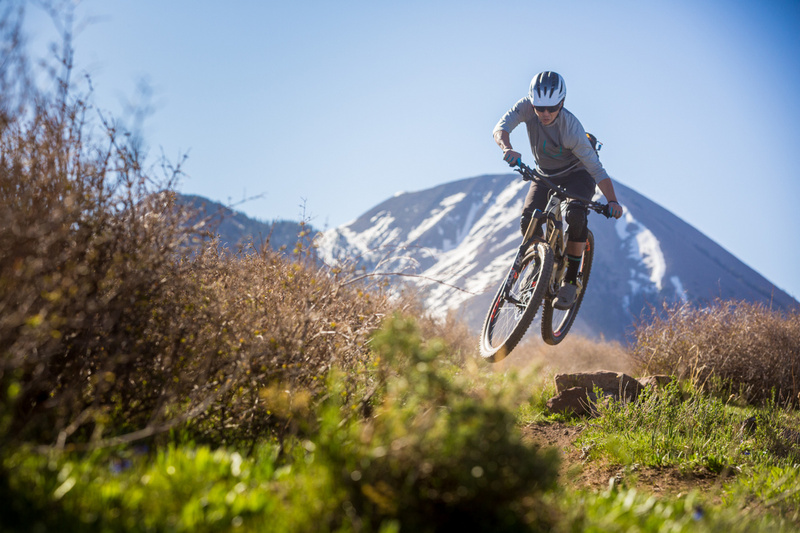 The bike feels perfectly balanced with its high-speed stability and ability to tackle tight corners and switchbacks. Boost any jump and one is rewarded. 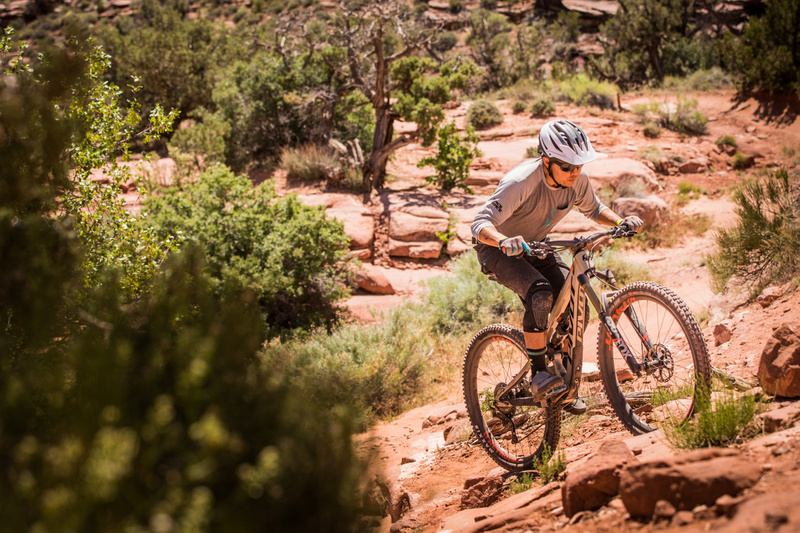 In our very long day with the Pivot Firebird 29 on Moab’s Whole Enchilada Trail (3/4 serving), we felt comfortable enough to say that this is a very, very good bike. It’s not the first long travel 29er but its one of the best. Under 30 lbs, climber, descender, looker, pick them all! It is a standout bike indeed but the SuperBoost presence to us is a downside because it’s not compatible with all other wheelsets and cranks in our garage. And building up a custom bike from the frame up is not an option. Also, there is no water bottle mount in the frame triangle and that is a compromise for some. But this bike is built for pure performance and we can’t wait to try it long term. Agree, we dont want one more standard. Not to the fault of Pivot, as they are only trying to find a winning edge. But please, some body invent an adaptor that lets you run 148×12 on a 157 spacing. Also, applaud to pivot for cleaning up the frame. Losing the seat brace trangle is a win aesthetically. Pivot bikes are actually starting to look nice. I’m looking forward to riding mine tonight!